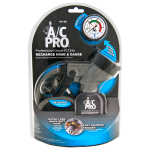 ACP-100V | A/C Pro® Ultra Synthetic R-134a A/C Recharge Kit, 20 oz. ACP-102V | A/C Pro® Ultra Synthetic R-134a A/C Recharge Kit Refill, 12 oz. MRL-3V | A/C PRO® SUPER SEAL A/C STOP LEAK TREATMENT KIT, 3 oz. ACP-105V | A/C Pro® Max Seal R-134a A/C Recharge 2-in-1 Chemistry, 12 oz. ACP-307V | A/C Pro® High Mileage R-134a A/C Recharge with UV Dye, 12oz. 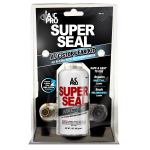 ACP107 | AC Pro® Super Seal Stop Leak All-in-One Kit, 3oz.